The Bike Buyers delivers one of the best junk motorcycle removal services nationwide. We are the largest purchaser of old wrecked motorcycles across the country. It does not matter if the motorcycle is in a driveway, street or in your backyard, we arrange vehicle removal service at no extra cost. Does not matter in what condition your motorcycle is we deliver free junk motorcycle removal service. 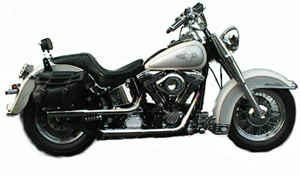 The bike buyers provide more than a motorcycle removal service. While we buy your Motorcycle, the vehicle will go to a new owner that is in need of it. The new owner will make the motorcycle repair as per need and get it back on the road. We take great pride in being a dependable purchaser of all Motorcycles. We buy any brand and make of the Motorcycle. We take away your scrap motorcycle in exchange of money. We pay more for your motorcycle than any other company does. We have a big network all over the country that helps you in getting the best deal for your old used motorcycle. Therefore, if you have taken decision regarding your scrap motorcycle then all you have to do is just give us a call at 877-751-8019. We work in an organized way we have our representative all over in the United State who pick up your motorcycle from anywhere at your home or the location of your convenience. Once you submit us the complete description about the vehicle either by calling or by filling our online form we will give you an estimate cost of your vehicle. We will offer you a quote of your Motorcycle depending on its condition. If you accept the quote, we will pay you in cash and will tow away your Motorcycle without charging you for it. This is the most hassle free way of selling a Motorcycle. Practically you can sell your Motorcycle in only 2 days.